There’s one thing we should all aim for when looking for love: Finding a partner who accepts and loves us just as we are. Settling for anything less than that will set you up for heartbreak. Below, marriage therapists and other experts share six things you should never feel compelled to change for your partner. If your partner loves you, they’ll make an effort to at least like your friends and family, said Christine Wilke , a marriage therapist in Easton, Pennsylvania. ?That means no pouty faces when you propose Thanksgiving at your folk’s place and no sarcastic, snide remarks when you discuss your friends’ ongoing relationship troubles. We all come with baggage. We all have a unique, particular set of flaws that have shaped and defined our lives. A partner worth your time and energy will find a way to love every part of you, including the imperfections,?said Betsy Ross , a psychotherapist in Massachusetts. If your significant other can’t recognize that you’re both imperfect, flawed people, the cracks will eventually begin to show. In your quest for a quality relationship, never compromise your core values, said divorce coach Kira Gould . ?Real, lasting love is based on people being transparent and true to who they are. Changing your stances on the big issues ―?self-respect, family, integrity, spirituality or economic security ― so they match up to your partner’s beliefs creates resentment and oftentimes leads to a break down of the relationship, Gould said. The goals you had before meeting your S.O. shouldn’t significantly shift just because you’re now one half of a couple. ?Sure, you may come up with shared dreams and visions for the future, but they should never supersede your big life goals, said Amy Kipp , a couples and family therapist in San Antonio . Your goals should commingle, not compete. Before your friends introduce you to someone in their circle, what do they say about you? How kind and considerate you are to others? How quick-witted and funny you are? 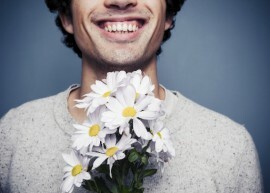 Whatever your unique, shining qualities are, don’t let them go dull for the sake of a relationship, said Marni Feuerman , a marriage and family therapist in Boca Raton, Florida. If your partner feels that something about you needs to be “fixed,” consider it a big red flag. “If they feel that way about you, I’d think long and hard about your future together,” Feuerman said. You love surfing or volunteering after work at a local non-profit but lately, you’ve been putting those on the back burner in favor of couple time. ?In the early, heady days of a relationship,?your priorities are bound to shift. You want to spend every waking hour with your partner. Still,?don’t let your passions take too much of a backseat to your budding relationship, said Debra Campbell , a psychologist and couple’s therapist in Melbourne, Australia. “Your partner may be one of the great loves of your life but it’s vital to hold onto the other great loves in your life ― the hobbies, work or interests that light you up and make you feel passionate. And focusing on your passions will ultimately benefit your relationship, Campbell said.